American homeowners are choosing aluminum gutters over other types of material more than ever before. In this article, we’ll tell you why that is, and list 5 of the most popular reasons you’ll want to choose this durable, non-rusting metal over other types of materials. Vinyl, steel, copper, and even wood are all used to protect our homes and property from water, as well as other outdoor elements that, over time, diminish the value of our investments. But when to comes to long-lasting protection that withstands the punishing elements year after year, nearly 80% of property owners these days are installing seamless aluminum gutters. Seamless aluminum gutters are the perfect outdoor complement to any home, or property design. 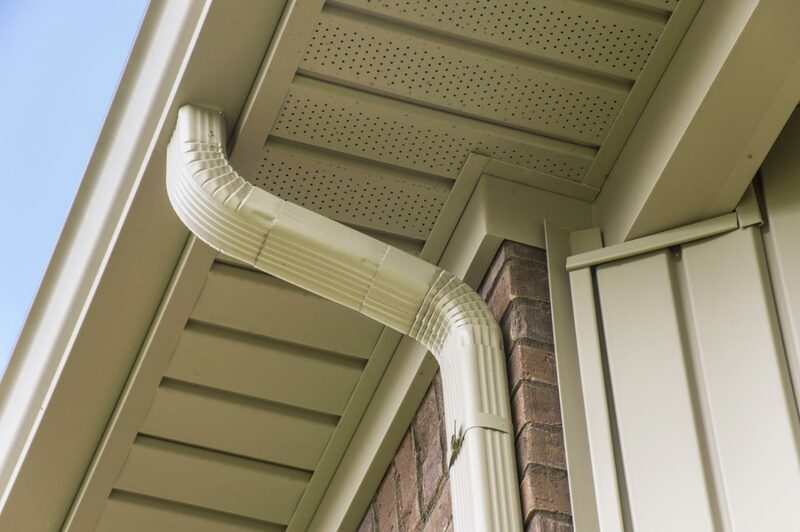 Because the material is inexpensive, and has a broader application when compared to other gutter styles, it is considered by most contractors to be the best gutters to install on any investment property. 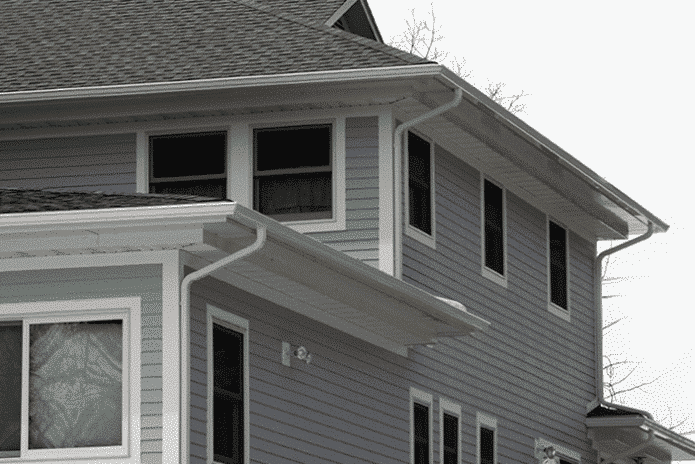 Aluminum is also the best option for seamless gutters, which are desired by over 70% of homeowners across the country. Going seamless is the best way to ensure that rain water is carried safely away from your home without breaks, or seams that can split causing the need for costly repairs and replacements. Leaking seams are also the primary cause for mold, and mildews to collect on the home due to excessive moisture. Depending on where you live, heavy or constant downpours can be an issue if your gutters size is too small. A strong, long-lasting storm can create a high volume of water that can get backed up in other gutters types that are not designed to function in areas of heavy precipitation. Because aluminum is such strong material, it often has a wider channel, allowing it to carry much more water safely away from your home. Sagging is another issue many gutters experience. Aluminum doesn’t have this problem. Because aluminum is so lightweight and strong, it continues to function perfectly year after year without unsightly dips that occur over time that can cause overflows, and damage to the home. The biggest question homeowners want answered is “How long do aluminum gutters last?” In most cases, aluminum gutters can be counted on to last upwards of 20 years or more! Since it is one of the most durable materials available, aluminum will withstand punishment from snow and hail as well. Wood, and thinner metals have a tendency to thin out, and fail after a few years and need constant maintenance. Steel is another option that you can choose that experiences limited corrosion, but the problem with steel gutters is that they are very heavy. Add in the weight of water, leaves, and other debris that can build up in your system and you have a recipe for disaster. The lightness of aluminum puts less of a load on your home, and is strong enough to carry away any refuse that might fall into your system. At Jackson Insulation & Exteriors, we use the highest quality gutter supplies and products available anywhere on the market. We even offer free estimates for all prospective customers. If your gutters need repaired, removed, or even if you feel your home needs a complete overhaul, we offer a service to meet your needs.